Fall is actually one of the best times to grow herbs. If you like to have fresh, tasty herbs in your kitchen, consider growing them during fall. This is particularly true for areas with mild winters. If you wish to grow herbs that prefer cool weather it’s best to keep them near the kitchen door. They will get the appropriate weather conditions and you will find it very handy to retrieve them. If you grow them near your kitchen it becomes very easy to harvest just as much as you need for your meals. This is a great way to add some tasty herbs to your meals in the fall. There are actually some herbs that thrive in mild winter. 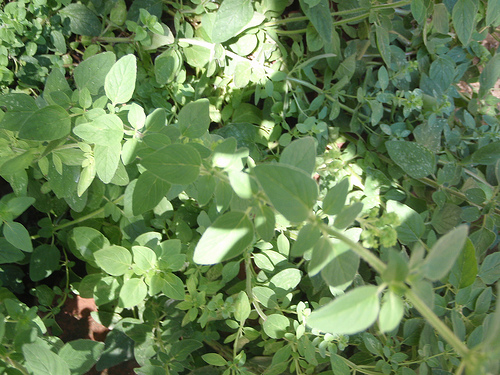 While it’s not advisable to grow them in hard winders or bad freeze, they will do great in mildly cold weather. If you live in areas with mild winters, consider growing these herbs for your kitchen. The best of all: they don’t require much space, so you can grow them almost anywhere. For easy access, it’s best to grow all these fall herbs by your kitchen door. You may even grow them all in the same container. All you need to do when they are ready is to grab a pinch whenever you need tasty herbs in your kitchen. Also, it’s useful to plant pretty cilantro and parsley in existing flower beds in the fall. You may also plant them in containers so they can serve as green companions for pansies and your other winder flowers. It takes only a few weeks for them to grow so you can harvest them for your meals. This is a great way to add some flavor to your kitchen in the fall. No to mention that these homegrown herbs are fresh, healthy and fully organic, coming straight from your little garden.